I am a huge book lover and although I love discovering the different worlds of historical fiction or digging into a good crime/detective novel, I still really enjoy re-living my childhood and dipping into old favourites every now and then. I find that re-reading books from my childhood, they provide a real sense of escapism. Especially when I know the stories so well, I find it really nice, when I'm not feeling great or have had a stressful day at work, to take my mind elsewhere and relax. I usually opt for a Harry Potter book, and recently picked up Alice in Wonderland by Lewis Carol. The other week however, I stumbled across this Roald Dahl box set collection of fifteen of his best-selling children's books. I have always been a huge lover of Roald Dahl, forever wishing that I was little Sophie with the BFG, and constantly listening to The Witches on audio tape in the back of my parent's car. This set was only £23 from Amazon and so I put it straight into my basket and eagerly awaited it's delivery. The first night that I received the collection I read both The Twits and George's Marvellous Medicine, two of my favourite books to read when I was growing up. I am so excited to carry on reading this Roald Dahl collection and re-living my childhood. 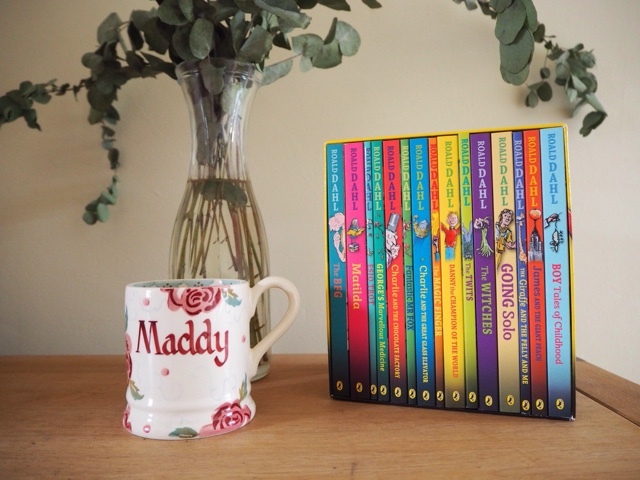 Do you like to re-read your childhood favourites?